Cuba isn’t a country. It’s a time capsule. The old world has made its final stand here and the vestiges of a bright yet gentle age are found on every street corner. Havana is a tribute to the era of jazz and salsa, bright automobiles and gay nightclubs, women in pretty dresses and men who can shake a leg while balancing a cigar and drink in their hands. 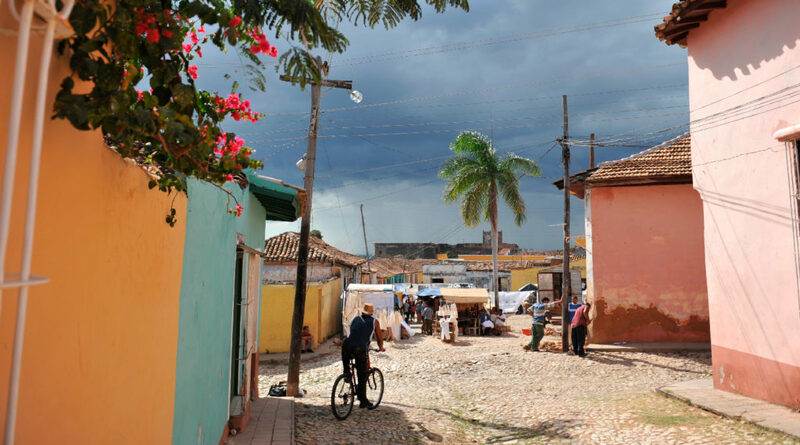 Existing almost parallel to this charmed world are the famed Cuban jungles. Renowned for their wildlife and shocking array of birds, the jungles of Cuba hold more secrets than we can ever discover in one lifetime. But the gateway to Cuba remains its capital city of Havana and that’s where our journey begins. 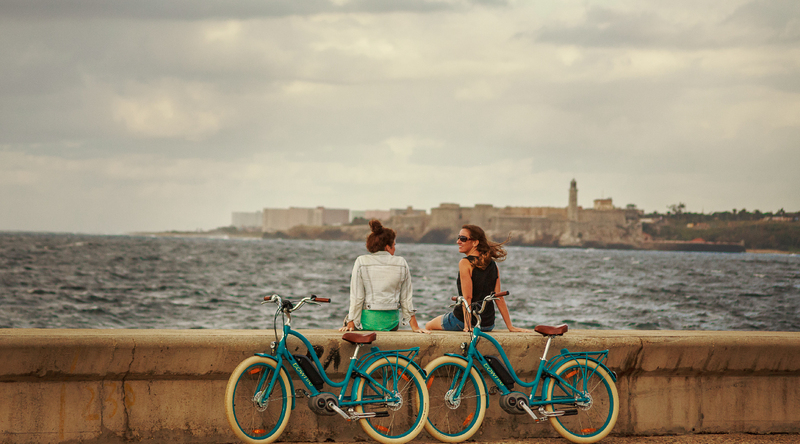 Havana instantly transports you to a different, simpler and dare we say a more romantic world. 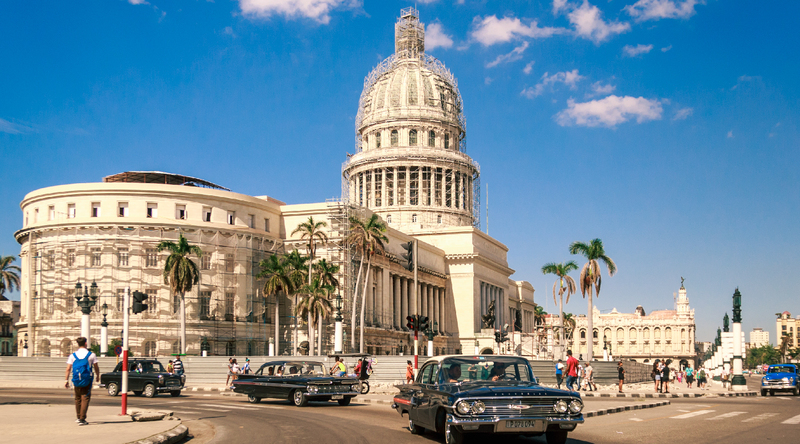 Murals celebrating the Cuban socialist spirit compete for your attention with the outstanding colonial architecture of the city, while the seaside avenue of Malecon constantly tempts you with sounds and smells of the ocean. 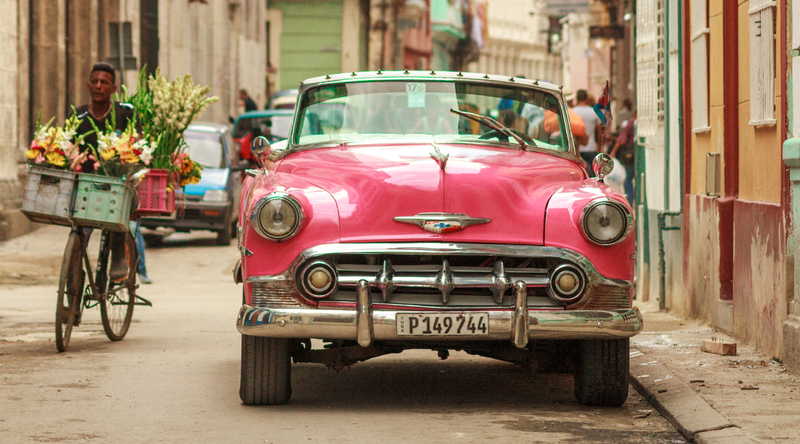 What better way to flag off your Cuban adventure than in the most endearing global symbol of the country, a vintage car? 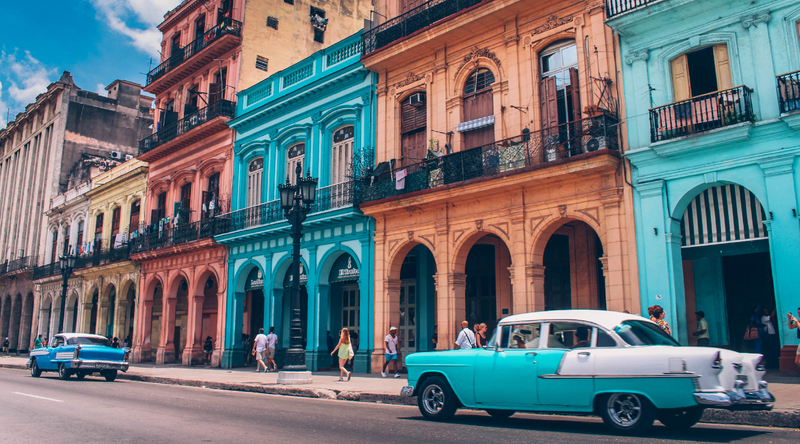 Take in the city’s sights in the back of a restored Chevrolet and don’t forget to explore old Havana while you’re at it. But before you and your significant other get too comfortable, a different kind of a Cuban experience beckons. A visit to a crocodile farm at the ecological reserve of Cienaga de Zapata, created to rescue these marsh dwelling reptiles when they were fast hurtling towards extinction. Now that the wild side of Cuba has reeled you in, it’s time for Zapata Swamp Park, home to Cuba’s most famous feathered residents. From jaunty parakeets, to the brightly coloured national bird Tocororo, to the regal looking flamingos, this is home to over 175 species of birds, many of them crooning in unison to celebrate your romance. If you thought that Havana was all the urban spice that Cuba had to offer, the sleepy town of Trinidad awaits. The most picturesque thing about Trinidad is the streets of the town itself. Pastel painted homes, red tiled roof, music done the right way; they all envelope you as soon as you walk in. The market is a delight for those interested in handicrafts with everything from hand carved instruments to textiles on sale. And then there’s the town of Santa Clara, where the spirit of revolution still lingers in the form of a 22-foot bronze statue of the country’s greatest socialist hero, the charismatic Che Guevara towering over it, in the town square. While the Cuban jungles are indeed a thing of awe, it’s also important to acknowledge the good being done by human communities in preserving their countries natural heritage. All this needs is a visit to the eco-community of Las Terrazas that has taken upon itself the task of re-foresting the mountains in this area. The result has been a rich biological zone with trekking trails along a serene lake, pastel coloured rowboats and a restored coffee plantation. There’s also the chance to witness the eco-community from a different perspective – by zipling over the treetops for an unparalleled view of the reserve. 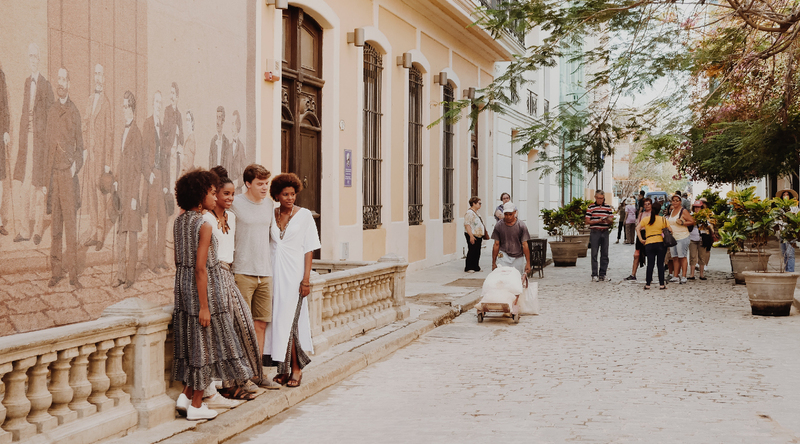 While you might be happily satiated with memories of Cuba by now, there’s one final thing left for the two of you in Havana to take back – A lesson with a local instructor to learn how to salsa like a true Cuban. In the list of romantic experiences, a night of salsa in Havana with your partner is right up there at the top. When it’s time to head back home, a word of advice. Going from Cuba to a fast paced life can be like jumping through time and space. The modern worlds with all its trappings and pressures might start feeling a mistake. Whenever that happens, and it probably will, halt, take a deep breath and remember – Cuba exists. And that it will always make room for a couple in love, to celebrate life at their own pace.